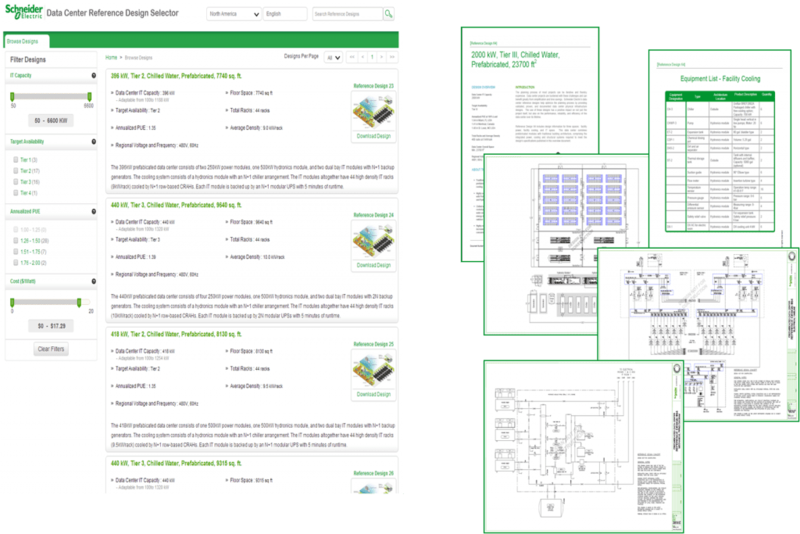 Schneider Electric offers a fantastic project planning tool called Data Center Reference Designs. And just like our industry-recognized, popular white papers and TradeOff Tools, it’s totally free and easy to access. Our entire design library can be viewed through our online selector. These high-level conceptual plans simplify planning by helping project teams quickly determine key project parameters (e.g. capacity, redundancy, efficiency, density, budget, and so on). A validated data center design, along with owner constraints and preferences, have served as solid inputs to mastering these detailed designs. These things aren’t marketing tools with pretty pictures. We have a dedicated Systems Engineering team who creates them. Technical experts from across our various business units then validate the designs. The design documentation includes a high level Design Summary PDF (available through the selector) and an Engineering Package (available via request) which includes CAD drawings of the electrical one lines, piping diagrams, dimensioned floor layouts, and an equipment list. We have a growing number of data center owners, consultants, partners and design firms who are using them to make quick and easy tradeoffs to figure out the key project parameters such as capacity, redundancy levels, density, area, PUE target, and budget. Many of them are being used as a foundation for the detailed design that will be ultimately built. o, I encourage you to check them out. Feel free to email me if you have any questions about how to access the documention or about the designs themselves.